The Chinese New Year (CNY) of 2019 starts on Tuesday, February 5th, and lasts officially for 7 days. While many of us who work in Asia are painfully aware of the Chinese New Year, and the coming disruption to all production, many Importers are caught completely off guard. As if the rush to get your shipments in time for Christmas is not enough, you now have to make sure that your goods are ready well before your supplier close the shop for CNY 2019. During this holiday, all factories are shut down. Without exception. While the official holiday only lasts for around a week to ten days, most factories are closed for an entire month. With severe delays to be expected once they open up again in March. This time is especially risky for products that are due for shipment in the spring and summer season. Think swimwear and outdoor furniture. Now is the time to prepare, and in this article, I will explain how you can avoid delayed shipments and quality issues during the Chinese New Year of 2019. While the Chinese New Year Eve is set on February 5th, 2019, all suppliers start to wind down operations one to two weeks in advance. As such, the CNY puts a halt to mass production, and even sample orders, far earlier than many buyers anticipate. This is not always in your supplier’s direct control. One component and materials subcontractor closing doors a few days earlier can essentially result in an unexpected and early shutdown of the supply chain. This partly explains why different companies close their doors on different dates. Get a confirmation on their schedule well in advance to prevent delayed orders. However, administrative functions tend to be operational a week or two longer, than the production lines. As such, you can, at least, save some of the runways on sample development and contract negotiations, that may take place at this time. While the official holiday is only lasting for roughly 5 working days, plus two weekends, most workers remain in their home provinces for an extra week or two. This explains why most suppliers are not back in business until two, sometimes even three, weeks after the Chinese New Years Eve. You will have a hard time reaching any representatives, including the salespeople, on CNY eve and the following days. However, they will most likely be available to handle administrative tasks within 5 to 7 days. Don’t hesitate to contact them at this time frame. Eventually, everything gets back to normal. Hopefully. The truth is that many manufacturers struggle to get back to a normal mode of operations in the weeks after the Chinese New Year. The primary reason for this being workers who simply don’t return to their former employers, without any prior announcement. Depending on the number of workers departing in secret, it can cause severe disruptions across the supply chain. Finding, and training, a new batch of workers provides new challenges of its own. Skilled workers are, to a certain degree, replaced by rookies. This is one, of two reasons, why the risk of quality issues is at its peak right after the end of the Chinese New Year. Every trade takes its own time to master. This is just one, of many reasons, why you should never relax your quality assurance and inspection procedures. The other reason for an increase in Post-CNY quality issues, as hinted above, is the large number of orders a (moderately successful) supplier, and its subcontractors have stacked up. This may include a backlog of orders from early December and onward, depending on the production time needed. This is stretching the suppliers’ capabilities to its maximum. Plenty of suppliers, even those who are not so busy, just use the general Post-CNY stress as an excuse for being slow and providing poor service. That’s worth mentioning too. Now that you are aware of the somewhat complex dynamics of the Chinese New Year, and how it may affect your business, it’s about time to explain how you can prevent related delays and quality issues. a. Place your orders in time: Ensure that production starts in late November, at the latest. That assumes an average production time of 30 to 40 days. If longer, you must start counting backward. Counting on tight schedules is never wise, so make sure that you confirm when your supplier halts production and accept new orders. Try to have a minimum 2-week buffer between the end date of the production, and the date they close. b. Avoid placing last minute orders in January: Remember what I mentioned about the risk of quality issues Post-CNY? The same applies to the January rush, leading up to the CNY. Never place orders at this time, as the goods will most likely not ship on time while the risk of quality issues increase. c. Keep things moving forward, to the extent possible: While production halts relatively early, sales, engineering and administrative departments are more flexible. Hence, you can move forward with due diligence, price research, sample orders and negotiations as usual. d. Don’t make deposit payments prior to the Chinese New Year: Some suppliers never open again. If they do intend to shut down, they’ll most likely do so at the time of the CNY. Notice that this is a rough timeline. Ultimately, it depends on the suppliers’ schedule. January 28: Many workers have already left the factories. Sales reps, engineers and management may still be around for a couple of days more. February 18: Employees, mostly sales reps and some engineers, start to come back. Some may have extended holidays. February 25: Most employees, including assembly line workers, are back in the factories. March 4: Operations are getting back to normal after the Post-CNY disruption. Unlike the Gregorian New Year’s Eve, which occurs on the same date every year, the Chinese New Year begins and ends and various dates in the calendar. 7. Are really all suppliers closed during the Chinese New Year? Yes, all factories are closed down during this period. Without exception. Asking a supplier to keep production going during the CNY is the same as asking you to work on Christmas. While some of us still do that, it’s not something to be expected. And no, it doesn’t matter if the CNY results in your order being delayed. 8. Do all countries in Asia celebrate the CNY? Not at all. Asia is much larger than just China. That said, the lunar year (which is the proper term for the CNY) is celebrated in Vietnam, and among the Chinese community in South East Asia. That said, it only disrupts production in Mainland China, and to a lesser extent, in Vietnam. The latter celebrates the Vietnamese New Year on Feb 16th, which is the same day as in China. 9. When is the last day to visit a supplier before the CNY? I suggest that you go at least one month in advance if you really have to go before. As many suppliers don’t accept new orders (even for samples) in the weeks before CNY, you might get more done if you visit them once they open again. That said, you can still negotiate contracts, and get feedback on your specifications before they close. 10. Should I pay a deposit before the CNY? No. Many suppliers that are about to go out of business, tend to close down permanently at the time of the Chinese New Year. Further, once they start production again, you should not take for granted that they will process your order faster simply because you paid the deposit before CNY. 11. Do Hong Kong-based suppliers also close for CNY? 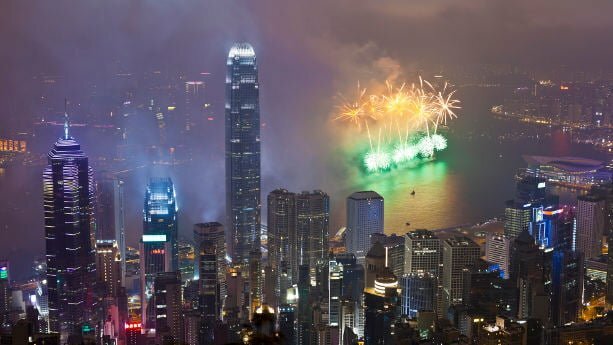 The Chinese New Year is a public holiday in Hong Kong, just like in Mainland China. However, most companies only close for a few days, rather than weeks. That said, Hong Kong-based companies have their manufacturing facilities in Mainland China or other countries in the region. As such, they face the same disruption as everyone else. 12. Why is the risk of quality issues higher post-CNY? After the CNY, a significant percentage of the workers don’t return to their factory. Instead, they look for employment in their hometowns and pronvinces. As such, the factories need to bring in a new batch of untrained workers each year to manage the post-CNY surge in production. A large production volume combined with poorly trained staff is a potent mix that often results in severe quality issues and misunderstandings. Whatever you do, don’t cut down on quality checks in march, april and may. Do you want to launch your own private label or custom designed product? Great reminder, Mr Grönkvist. For many factories in China, the CNY festival will last about 20 days, which begins a week before the Eve and continues until two weeks after that. But for a factory with remarkable regional features like us, most of our stonemasons are local so we usually close the production on the Eve and reopen four days after if we have good orders. Is this relevant for all industries or majority of industries with complex nature of products being manufactured i.e. components, moving parts? Is risk management level less with handmade products or simple products? You mentioned that there’s still administrative workers left so samples, prototypes and negotiations can still be conducted as normal. But I am contemplating whether samples should be ordered before CNY since it’s too late for production because you mentioned that one of reasons behind poor quality control might be because some experienced workers do not return that and are replaced by new workers. In this situation can there be scenario where production would not conform to samples ordered before CNY? Basically, Mr Grönkvist is right in this article. Office workers usually leave one or two days before the CNY Eve while production line workers probably leave one week before that in order to go back to their parents’ home in inland provinces after a long trip from the factories in coastal areas if the orders are not that tight. Also, in most government departments, like the Customs, only a few staff are on duty in the one-week national statutory holidays. However, I don’t think this time is too late for you to contact your supplier. Give it a try. You know, Chinese is a people known for diligence. No I would not say it’s less. Perhaps even the opposite, as low value added industries tend to have less internal quality control. Indeed, there is always the risk of samples not representing post-CNY produce. However, as long as you are aware of this dynamic, and implement a quality assurance procedure to counter such risks, you are likely to succeed. As Mr Chang also says, you can still move forward with suppliers even at this point. Heading down to Shenzhen in a couple of days myself to clear things up before they close the door. Interesting and crucial post. So what do you do if you are a seller dropshiping from Alieexpress via ebay? I feel this could have a negative impact to feedback from my ebay customers. Mr Fredrik Grönkvist or someone, please can you advise, as I am first time seller on ebay. I want to buy some hoodies from China online. Should I wait until after New Years to order them? Will my orders be accepted if I order them during New years? Thank you for the article a very helpful reminder. Because of your article I’m mapping all the Chinese national holidays into my business calendar along with reminders for dates that proceed the cutoffs when inventory orders would need to be placed in order to be shipped before CNY. Just wondering if you have similar advice or an article I can read on the other major Chinese holiday “National Day” that leads to a week long holiday in the first week of October each year? Good idea, we will write an article about the national holiday later this year. this business tip here is one of the best business tip i get this year. we are importing soldering tools from China & many of our clients are angry because of our delayed delivery. Been there myself so I know how frustrating it can be! Planning ahead is the only solution. Looking great thanks for your info. I don’t think the ports are entirely closed during CNY. They still operate, but with less staff. If you ship before Jan 25th it should be fine. Thank you for the information you shared and the additional explanations. What are the operating dates of China Post? Do they also take off a week before and then 2 weeks after? Or will China Post be only closed for the actual week after New Year? My supplier has posted orders for me and I have a tracking number, but it was only posted yesterday the 25th January. What are my chances? I think China Post operates throughout the CNY, although with reduced capacity. If it’s already posted, it should reach you before CNY.